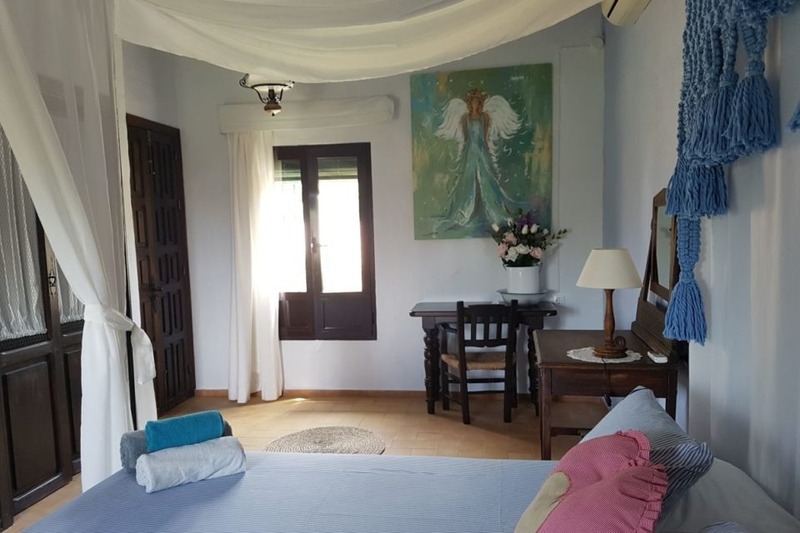 The five persons family accommodation known as ¨Angels forest¨ consists of two rooms, the tower room and the ground floor room below. Very spacious accommodation with a romantic double bed in the tower room and marvelous views. 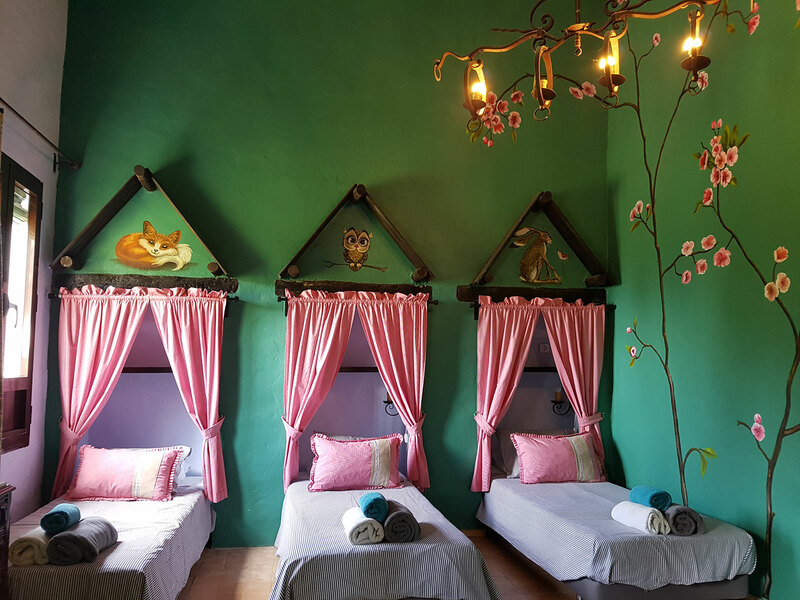 The children sleep on the ground floor in 3 cosy niches with, above each bed, a wall painting of a cute animal. Each guest room tells its own story through specific themes and colours. 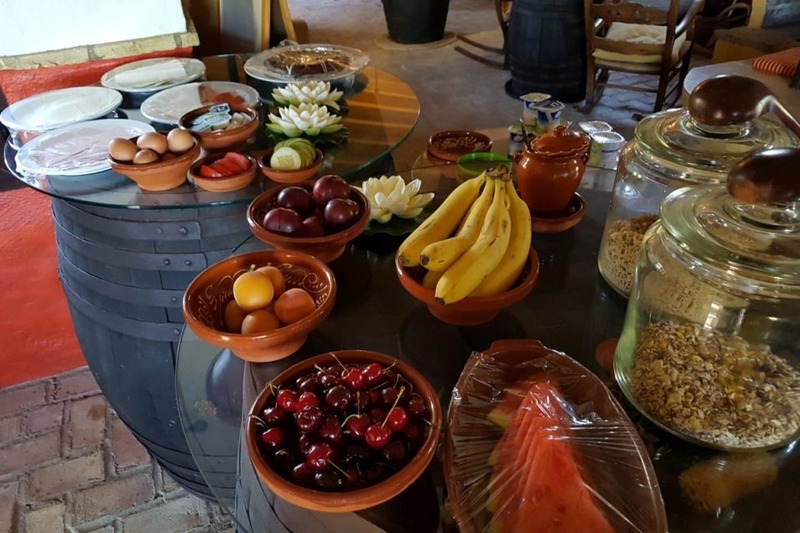 The family accommodation, ¨Angels Forest¨, is split over two floors and can accommodate up to 5 people. 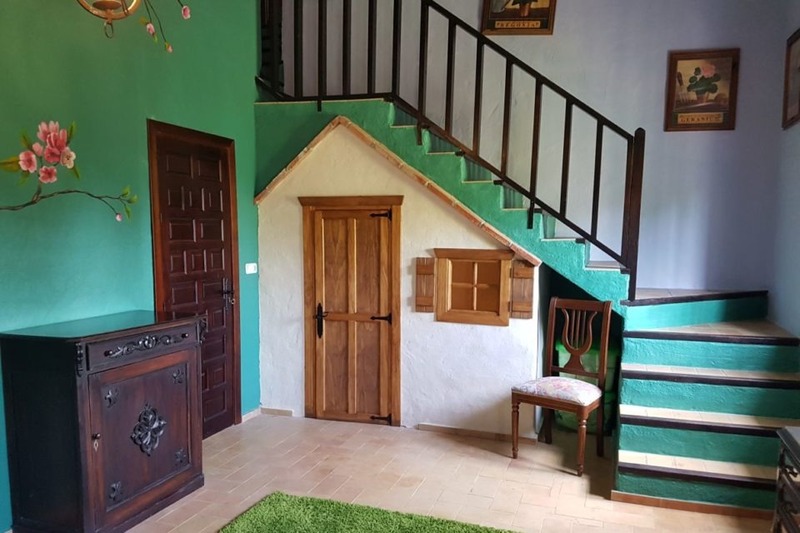 On the ground floor, (in the forest), there are three cosy niches with single beds and a cute toilet under the stairs decorated as a tiny house. Upstairs, (with the Angels), is a romantic double bed. Here, from the tower room you have a magnificent view. A stair-gate is in place for the safety of the little ones. 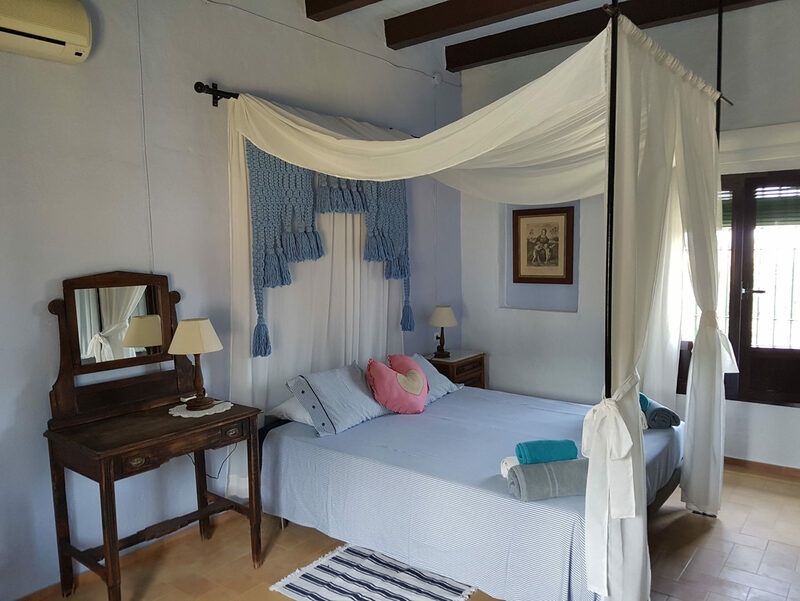 Spacious romantic room with private bathroom with shower, double bed plus single beds, built in the rustic country style of Andalucia. 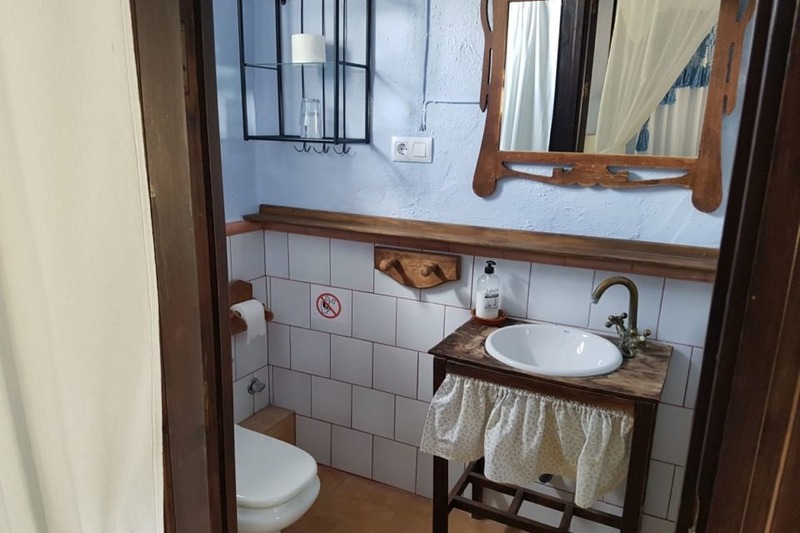 All guest rooms are built around the typical Spanish patio. Price room 5p € 170 p.n. 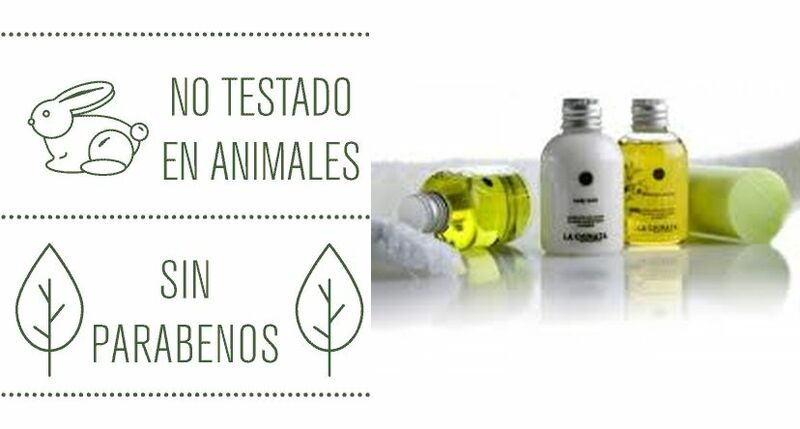 € 155 p.n. Dinner child up to 12 yrs € 9.50 p.n. Baby/toddler meal € 5 p.n.